UNI's Student Health Clinic is located inside the Student Health Center, which is located on the corner of Minnesota Street and W 23rd Street (approximately the 1600 block of 23rd St), on the University of Northern Iowa’s campus in Cedar Falls, Iowa. The building is next to the Schindler Education Center. 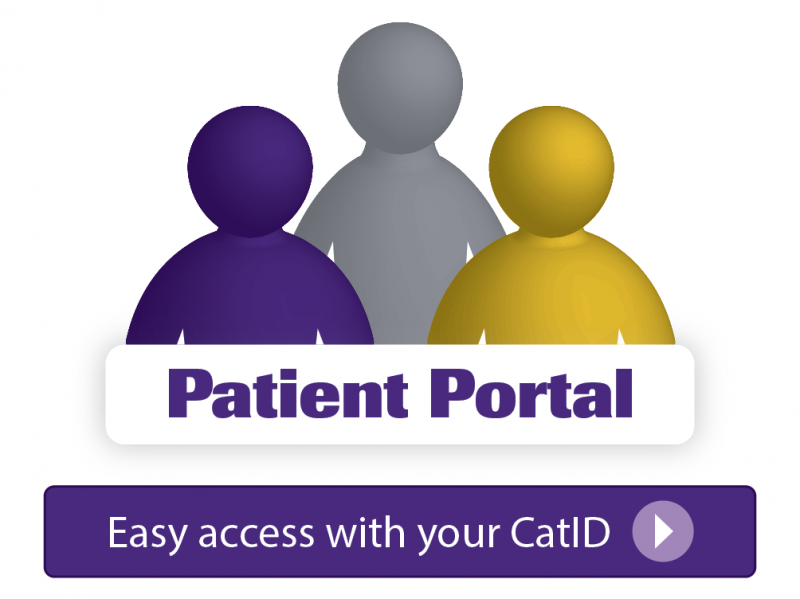 To schedule a medical appointment click on the Patient Portal Icon to the left and login using your Cat ID and passphrase. Once you are in the patient portal select New Appointment from the dashboard. If you need to schedule any of the following appointments please contact our office directly at (319)273-2009 option #1 as these can not be schedule online. Please remember to arrive 10-15 minutes prior to your scheduled appointment time. You will need to stop at the front desk to start your check-in process. The UNI Student Health Clinic and Pharmacy are open on all days University classes are in session from 8:00 a.m. to 4:30 p.m.
For a life-threatening emergency, anytime day or night, call 911. Does the UNI Student Health Clinic provide medical/work excuses to students? Can I be tested for Sexually Transmitted Disease and Infections? Do I have to call to make an appointment or can I walk in and be seen at the UNI Student Health Clinic? I think I have Attention Deficit Disorder (ADD) or Attention Deficit Hyperactivity Disorder (ADHD) what do I do next?